<a href="http://www.inhabitots.com/how-to-make-scrumptious-vegan-pumpkin-chocolate-chip-muffin-cupcakes/">Cupcakes</a> are my favorite treat for birthday parties, especially when they have organic ingredients and whole fruit inside. For my son's 11th birthday party, I decided to try a combination of local, organic fruits that are in season here in Florida. 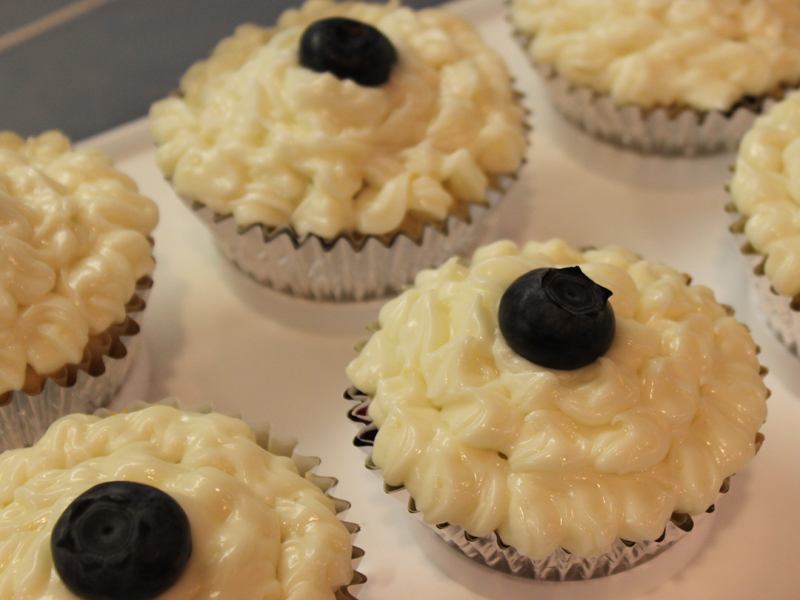 We thought that lemons and blueberries would be a great combination and it turns out we were right, they were a hit! I think I received more compliments on the cupcakes than the <a href="http://www.inhabitots.com/10-easy-ways-to-green-your-childs-birthday-party/">birthday party</a> itself! 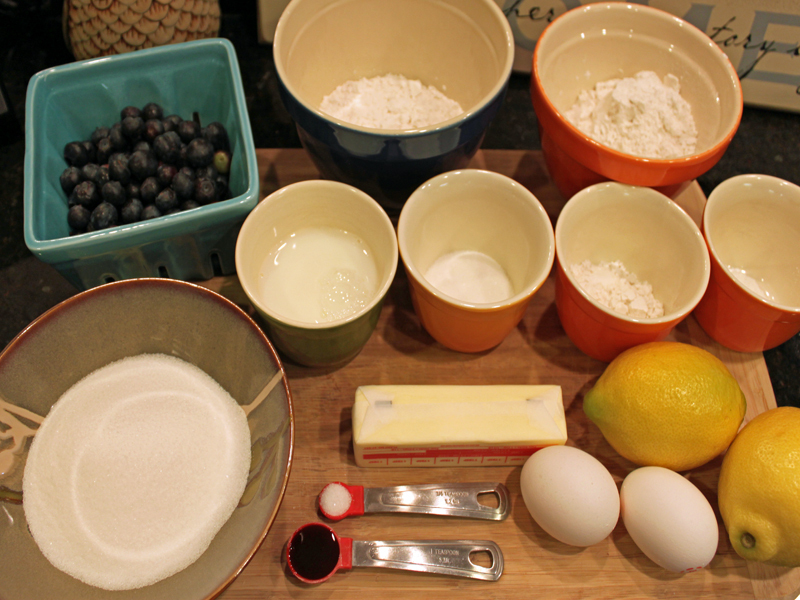 Read on to learn how to make these super yummy organic lemon blueberry cupcakes for your next party and <a href="http://www.inhabitots.com/how-to-make-organic-lemon-blueberry-cupcakes/7/">find one-page printable recipe here</a>. 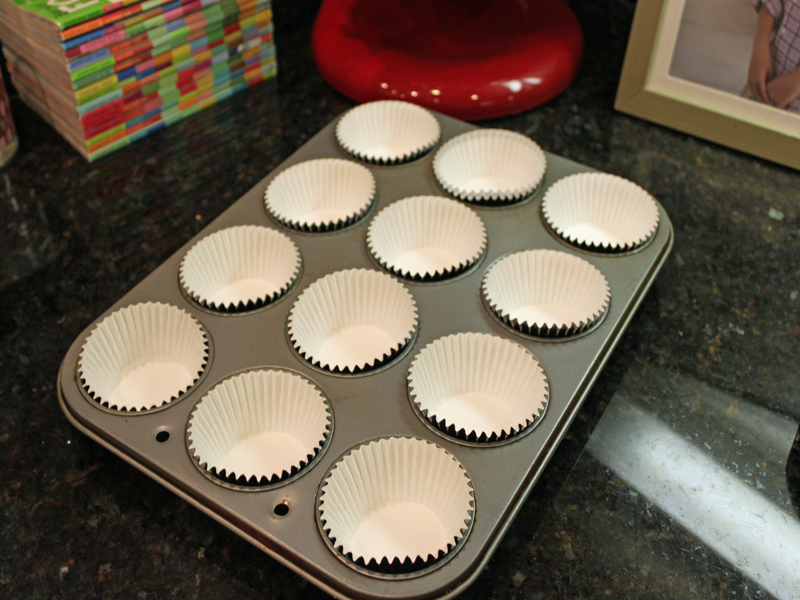 <h2>Step 1: Preheat + Prepare</h2> Preheat the oven to 350 degrees and line the cupcake pans with natural cupcake liners. 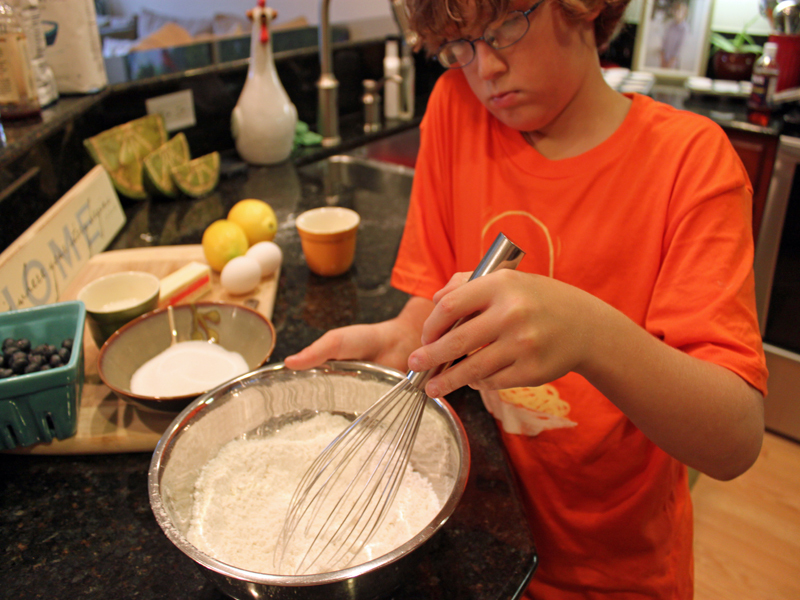 <h2>Step 2: Combine the Dry Ingredients</h2> Have your child add the organic flour, baking powder and salt together in a bowl - whisking it gently together. 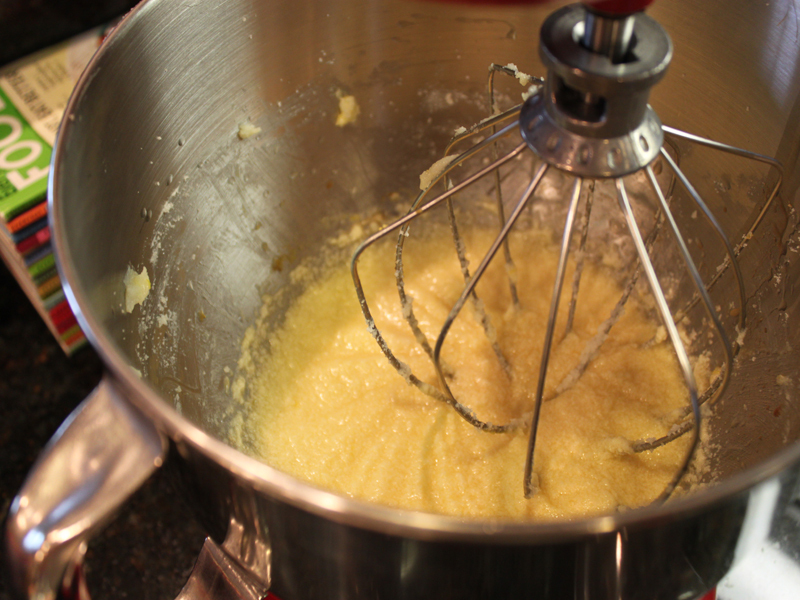 <h2>Step 3: Electric Mix It</h2> Add the organic butter, sugar and lemon zest to an electric mixer and mix on medium for 2 minutes. Add the eggs one at a time and then add the vanilla and lemon juice. <h2>Step 4: Mix It All Together</h2> On low speed, mix in the dry ingredients and milk and beat until all of the ingredients are throughly mixed together. 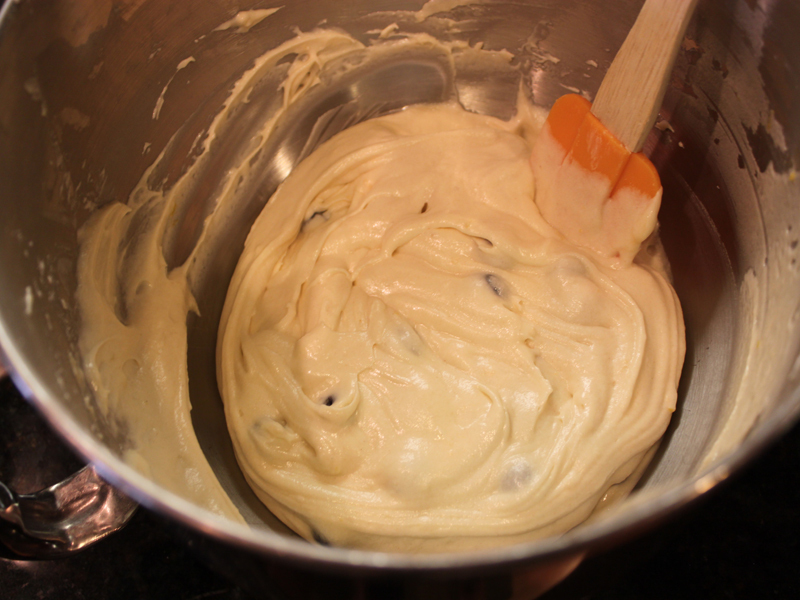 <h2>Step 5: Fold In the Berries</h2> Using a spatula, have your child add the blueberries to the mixture. <h2>Step 6: Bake</h2> Fill the cupcake liners with the cupcake batter and bake for 20 minutes. 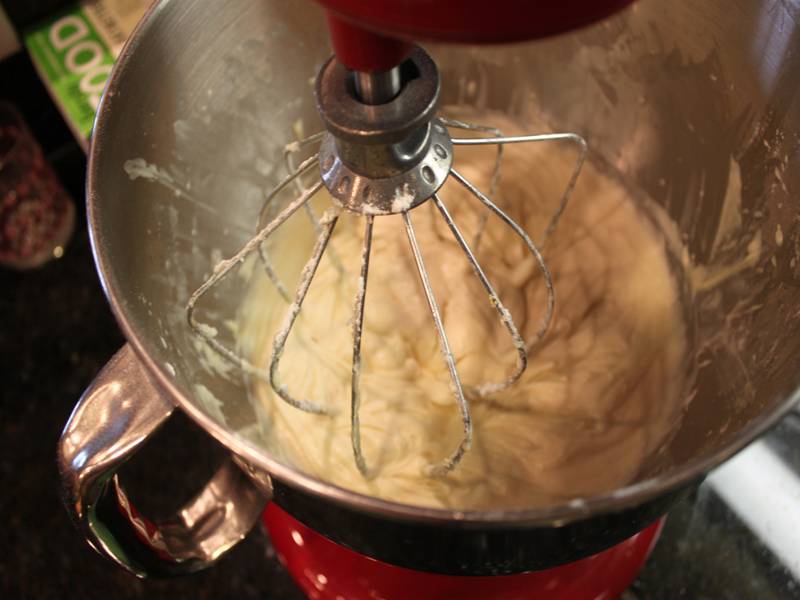 <h2>Step 7: Make the Frosting</h2> While the cupcakes cool, mix the organic cream cheese, butter, lemon zest, and lemon juice until smooth. 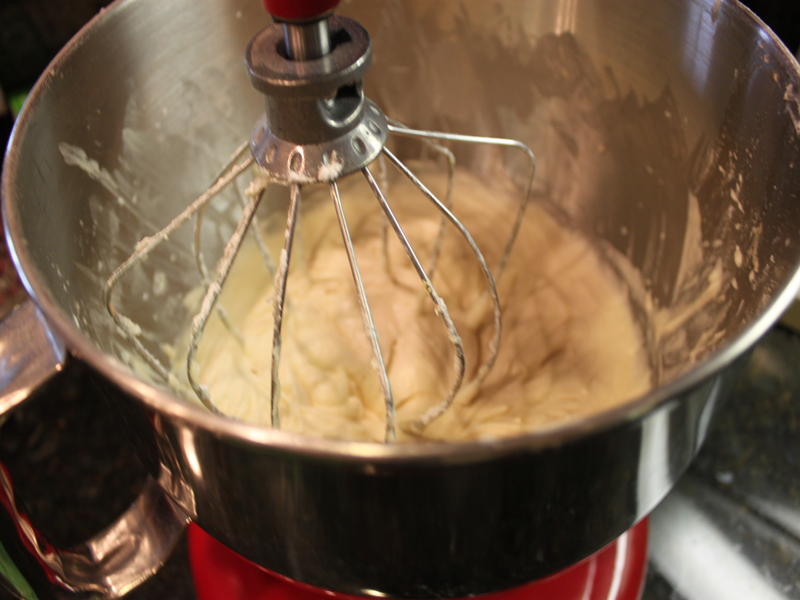 Then, add the powered sugar until thick, creamy and completely mixed. 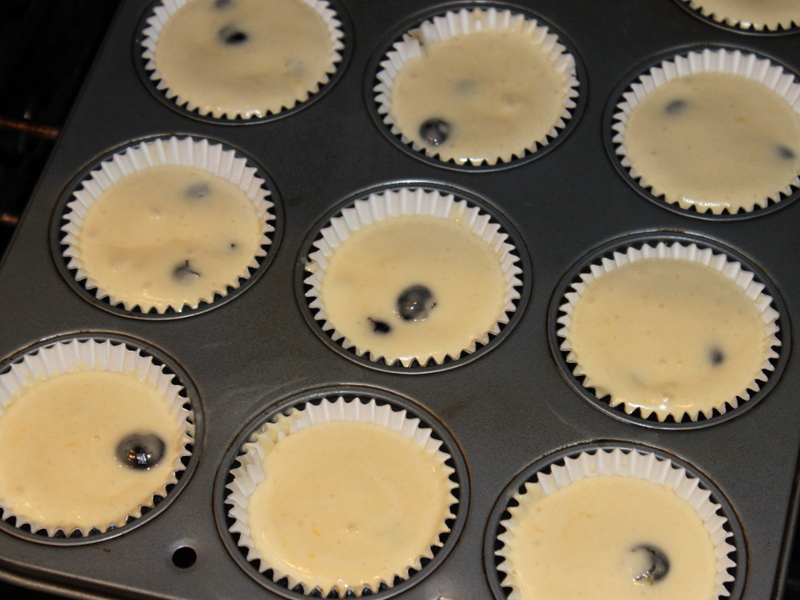 <h2>Step 8: Decorate!</h2> I piped the frosting onto the cupcakes and then added a blueberry on top! 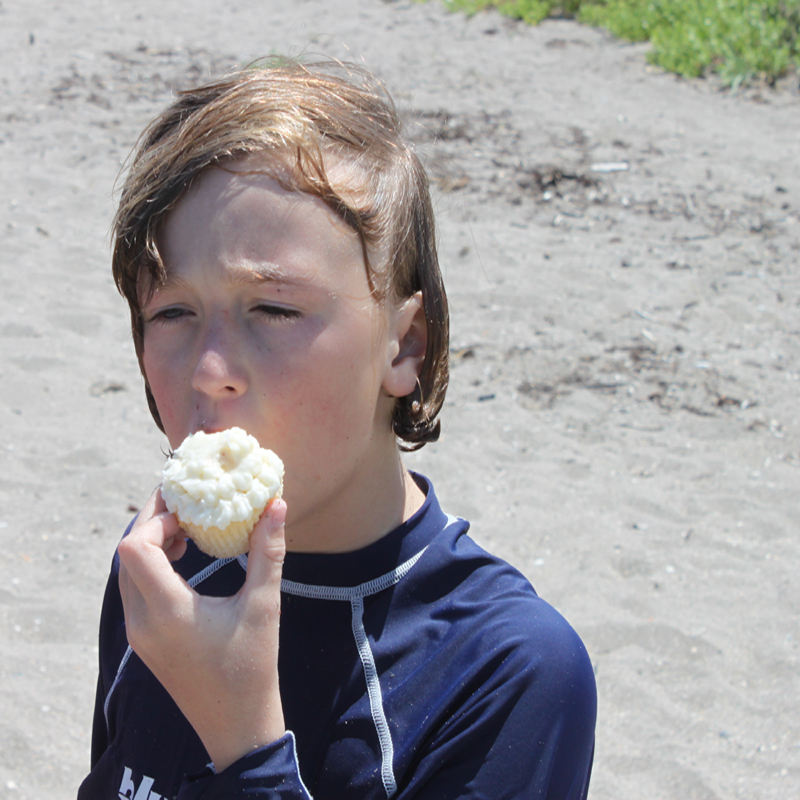 Cupcakes are my favorite treat for birthday parties, especially when they have organic ingredients and whole fruit inside. For my son's 11th birthday party, I decided to try a combination of local, organic fruits that are in season here in Florida. 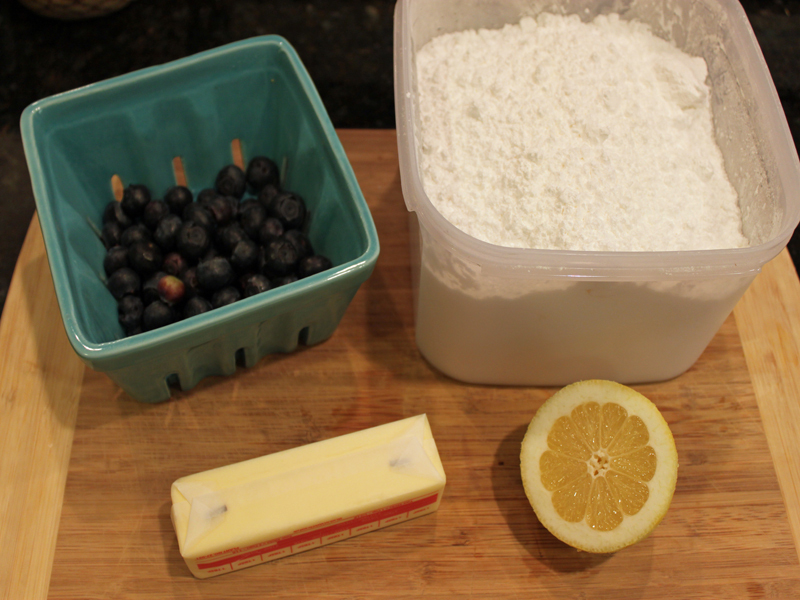 We thought that lemons and blueberries would be a great combination and it turns out we were right, they were a hit! I think I received more compliments on the cupcakes than the birthday party itself! 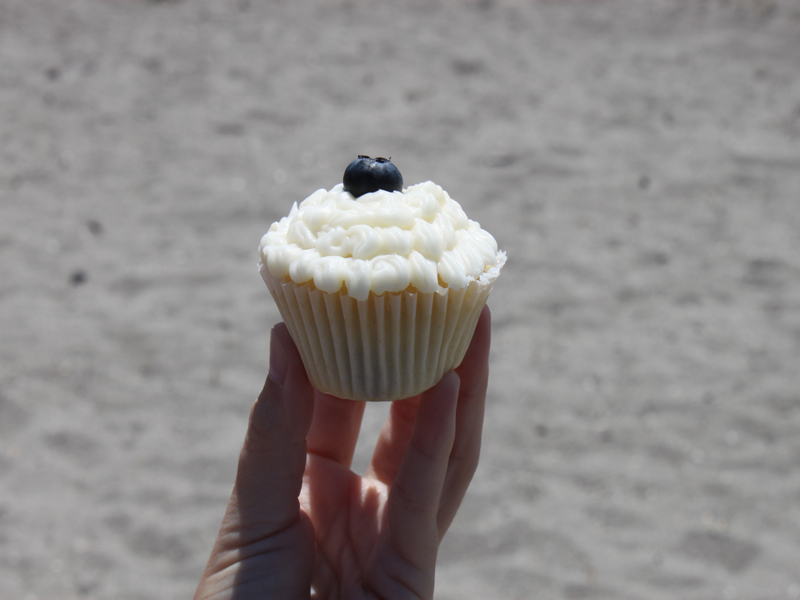 Read on to learn how to make these super yummy organic lemon blueberry cupcakes for your next party and find one-page printable recipe here.